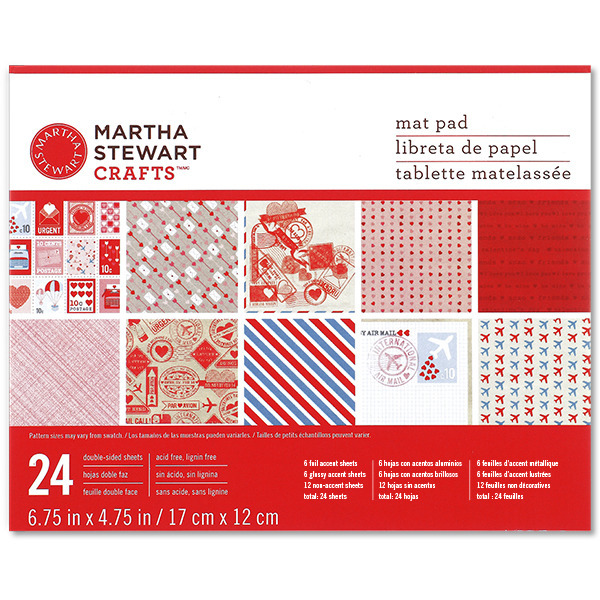 This set is from Martha Stewart’s Love Notes patterned paper. They have such a great vintage look and there are so many cute patterns to choose from! Recipe: Patterned paper from Martha Stewart, Stamps from Mama Elephant and Lawn Fawn, and Epoxy Stickers. Okay…So I couldn’t keep away from this lovely stamp set! I love that I found these enamel hearts! They are perfect for V-day! Do you see the little Scottie?! Hehe! So cute. This is the perfect valentine’s day card for me! It’s so adorable!!! I think I will have to hide it somewhere in my stash of stamps so I will stop using it! So for this card, I tried to give it a lot of dimension and color. I added light pink distress ink at the top and bottom. It’s hard to tell from the photograph but the white in the middle really highlights the heart box. For finishing touches, I added white dots and little stitched lines on the heart box. Also, I added distress glitter to the little angel wings. 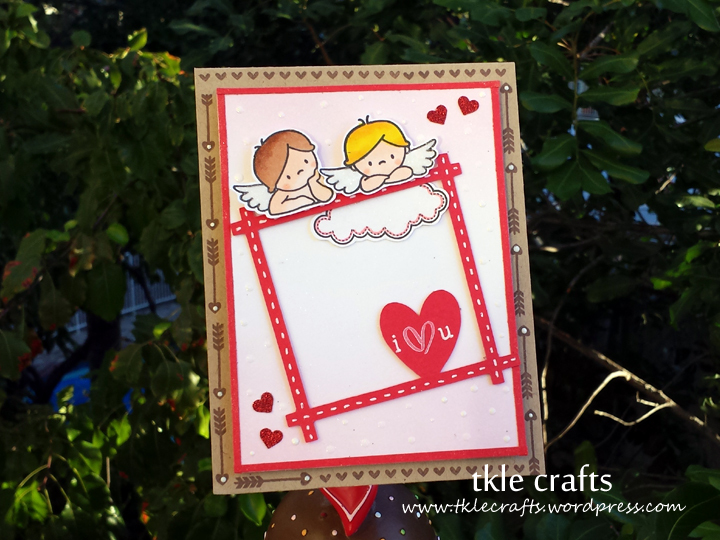 Love love love these cards for Valentine’s day. 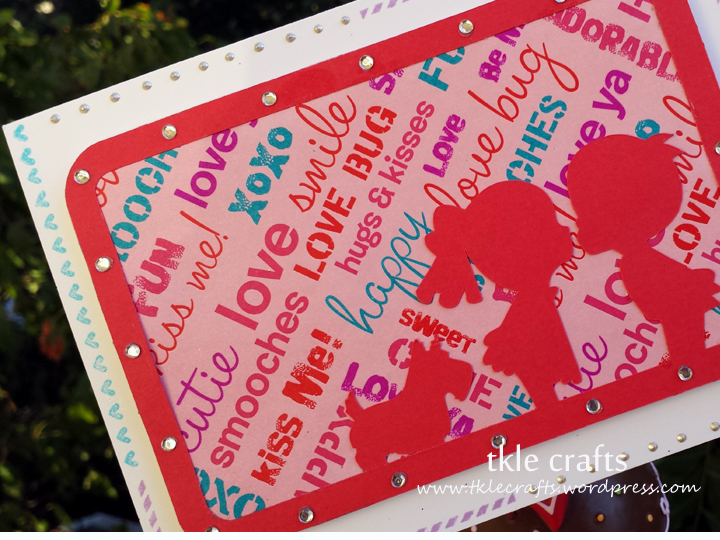 Recipe: Cardstock from PTI, Mama Elephant Stamps Love From Above, Silhouette. Any time now… lol. 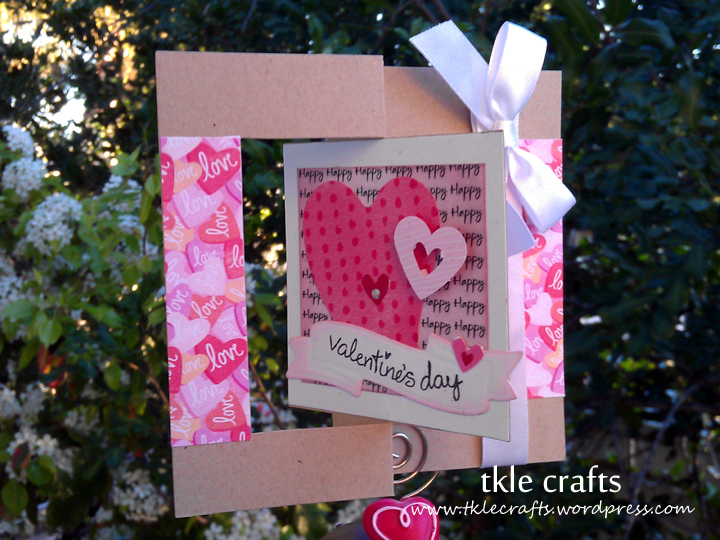 I like this card because I got to use the mini clothes line clips from the paper source. I added a little red heart for some bling! 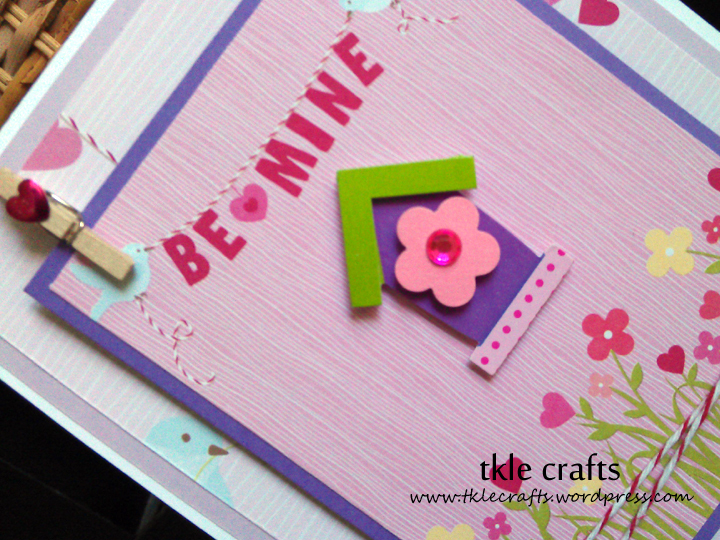 Recipe: White cardstock from PTI, Martha Stewart Scrapbook paper and red twine, Clothes line clips from paper source, bird house sticker and purple paper from Recollections, Heart bling from I-rock. 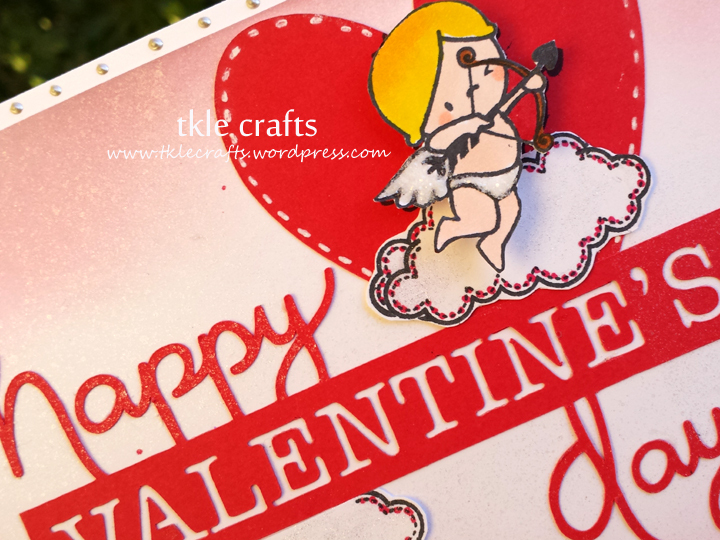 Guess how long it took me to design this card? Over a year! In the last year, I’ve tried to design this card about 4 or 5 times without much success. (I got excited one day and bought a ton of these dimensional hearts which are so cute) However, this time I like the results! 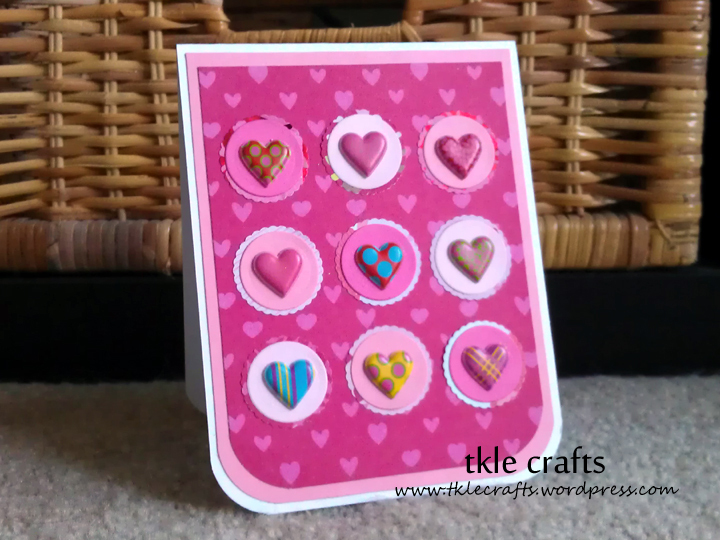 These hearts are also great to put inside the card where you sign “Love.” Hopefully, I will get more inspiring ideas to use these cutie hearts. 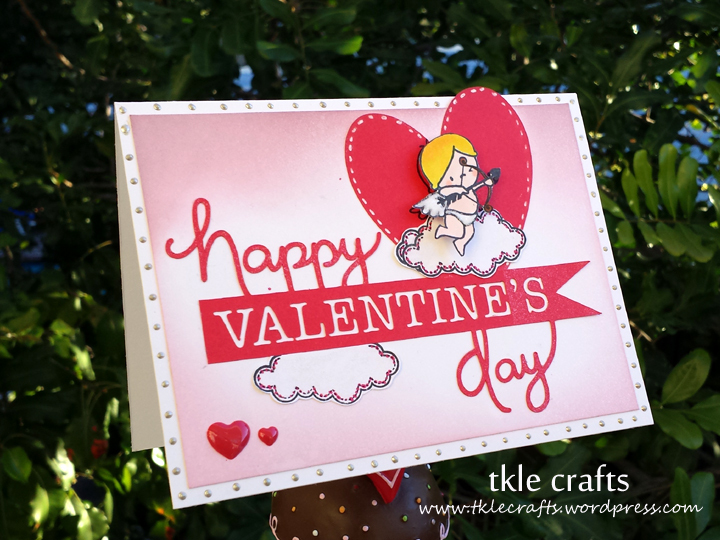 Recipe: White cardstock from PTI, Martha Stewart Scrapbook paper and scallop and rounded edge punch, Spellbinders circle die cut, Recollections heart sticks and pink card stock. 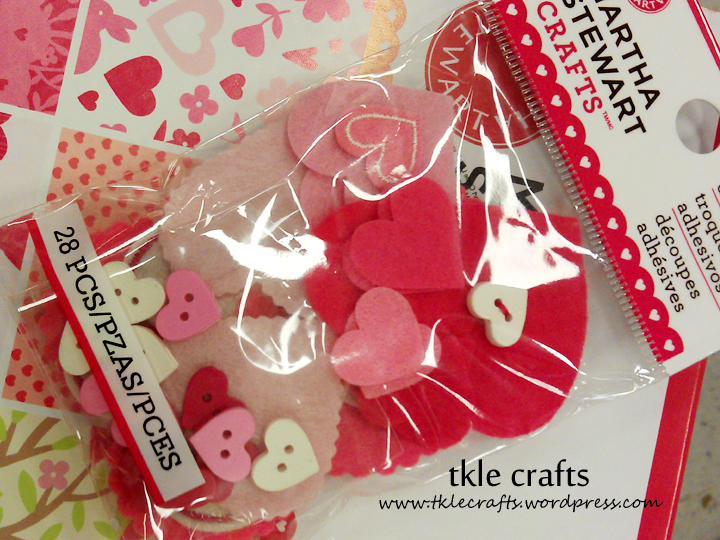 The possibilities are endless with this Martha Stewart Valentine’s Day Paper! My friend was asking me how long it usually takes me to make one card and I realized that one card actually takes me a few hours! Especially if I get stuck and cannot figure out color combos etc. I find that the first version of a card I make has little flaws here and there but I end up perfecting it after I’ve made version 2.0! 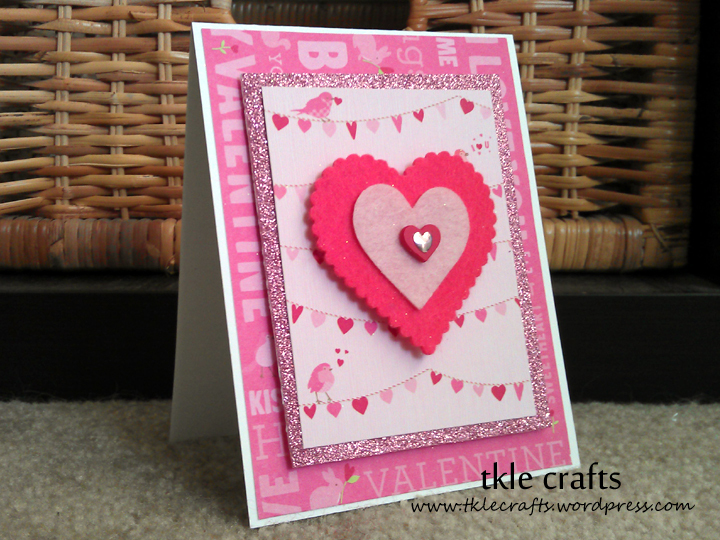 After that, it is really quick and easy to make a card because I know what works. Recipe: White cardstock from PTI, Scrapbook Paper and felt hearts & buttons from Martha Stewart, Vellum paper, Colored Bakers Twine, Love Stamp from Michaels. Here is my pocket valentine’s day card. I don’t know why but I am on this pocket-tag craze! So I decided to put a little message on the tag that you can pull out! 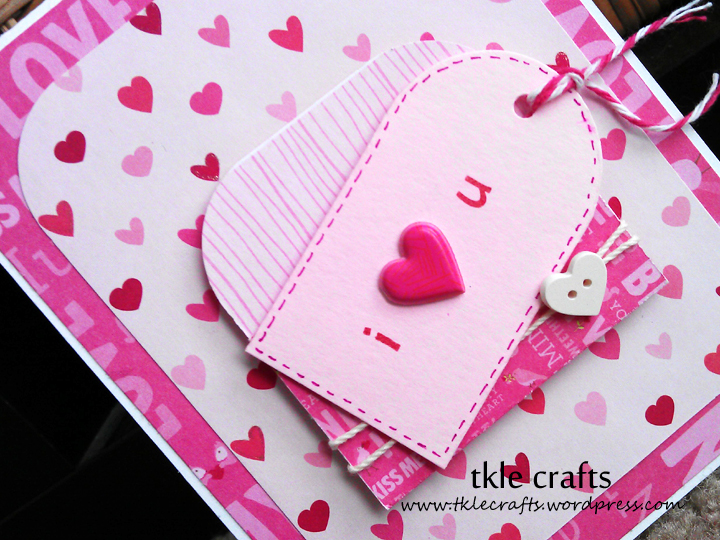 Recipe: Cardstock from PTI, Martha Stewart Scrapbook paper and heart button, Japanese Twine, Cuttlebug Tag, Pink Bakers Twine. Love is in the air! And thanks to Martha Stewart, I get to make all these cute cards. I have to say patterned paper makes all the difference! Also, I found a packet of Martha Stewart felt stickers that were perfect for this occasion. Aren’t the little heart buttons absolutely adorable? The is my first time using felt cut outs and I love it. So so so cute! 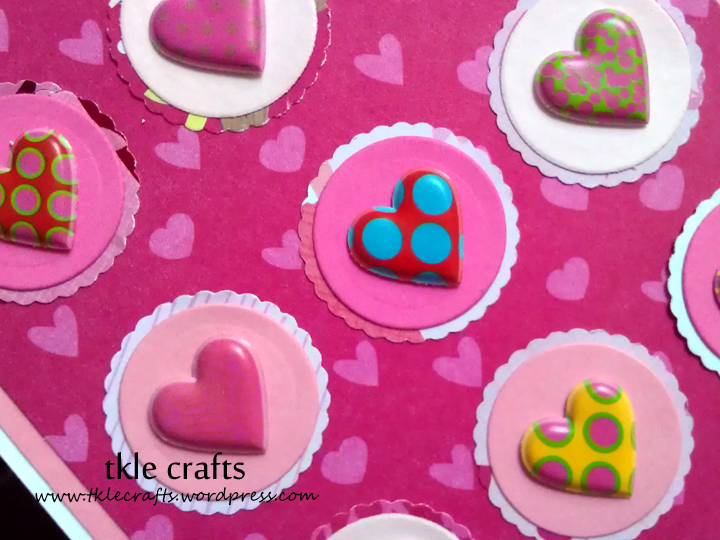 Recipe: Cardstock from PTI, Patterned paper and felt heart from Martha Stewart, and i-rock hot adhesive.